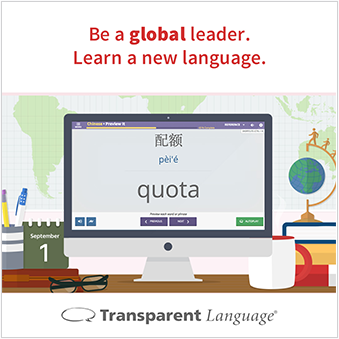 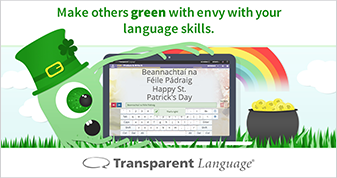 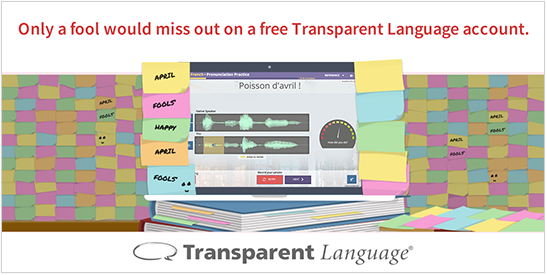 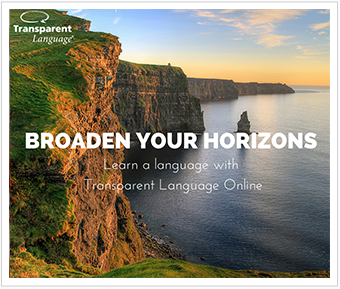 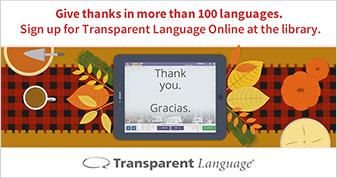 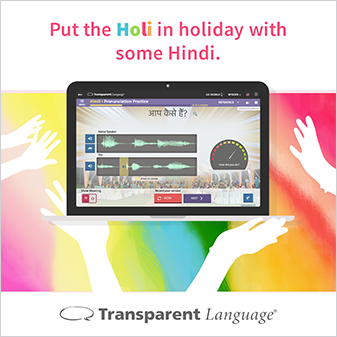 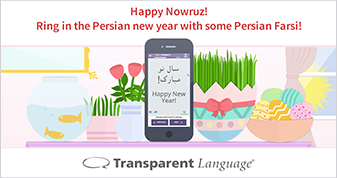 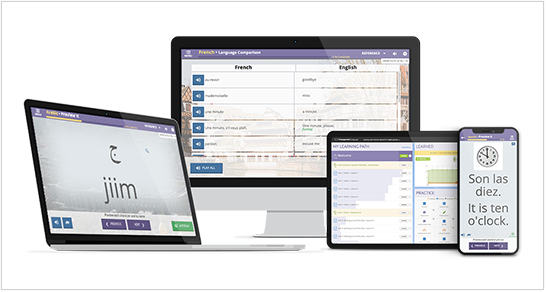 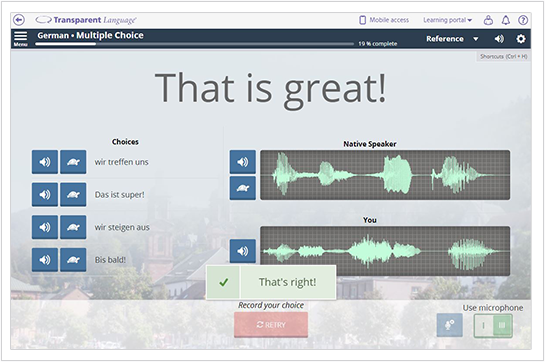 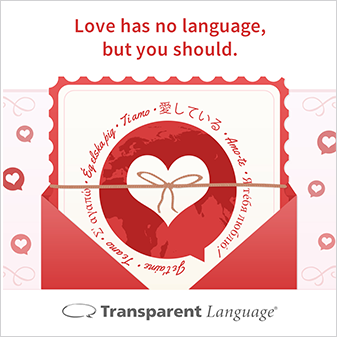 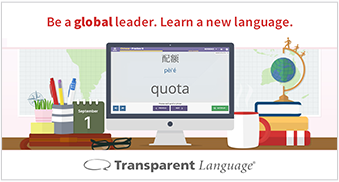 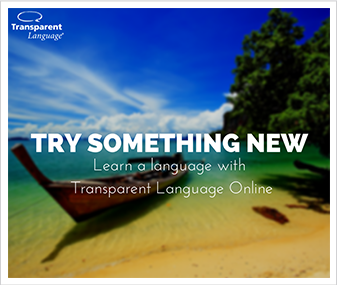 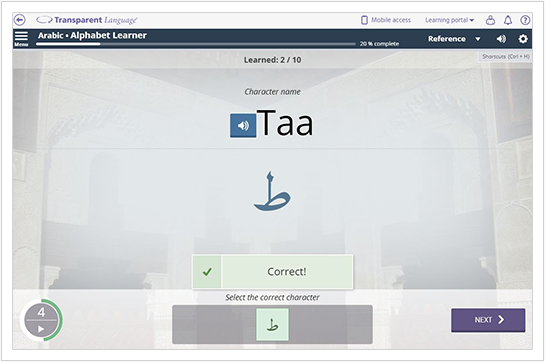 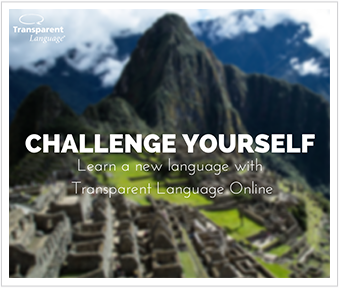 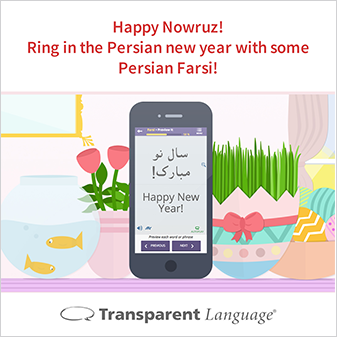 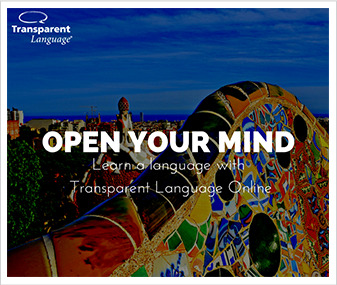 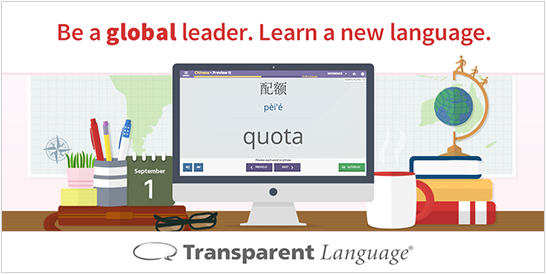 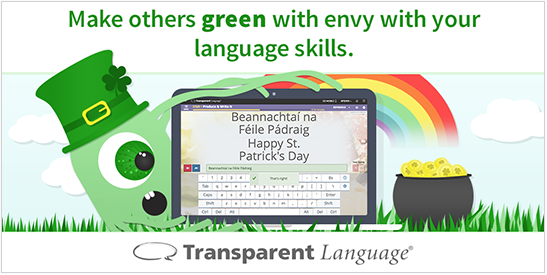 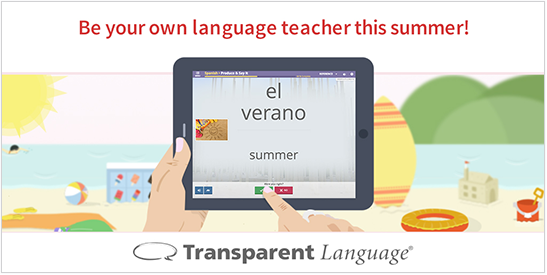 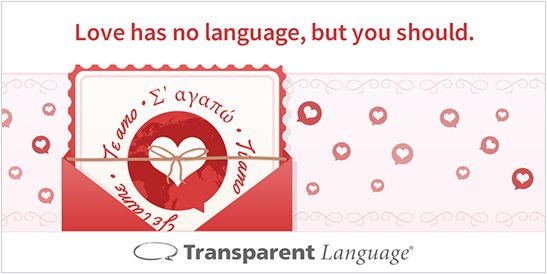 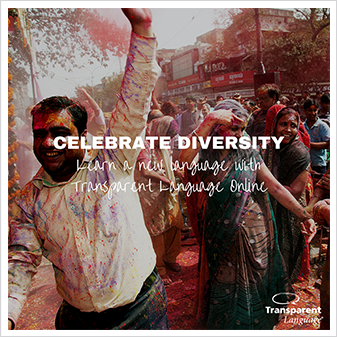 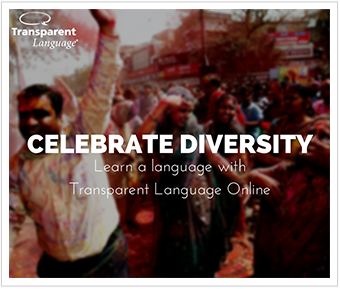 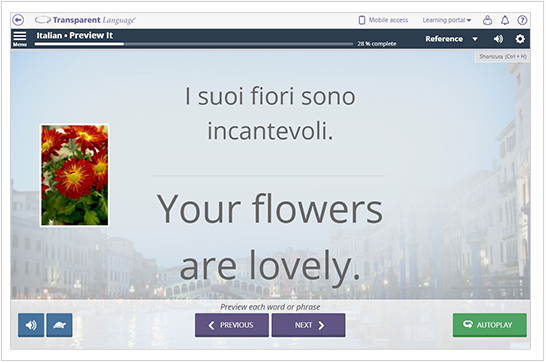 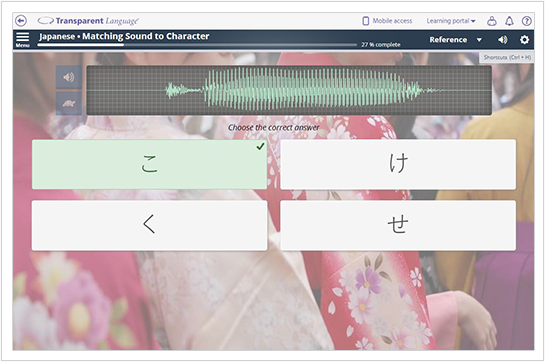 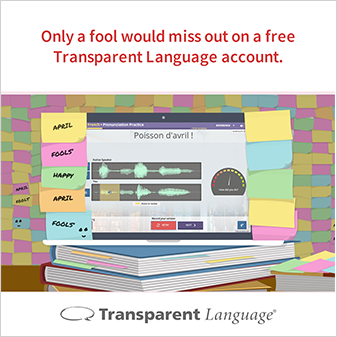 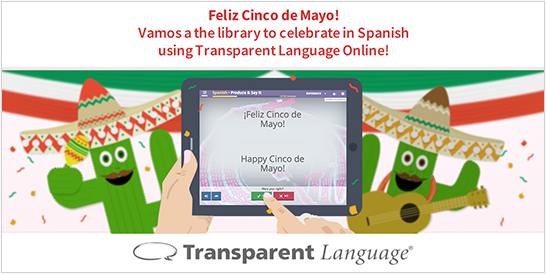 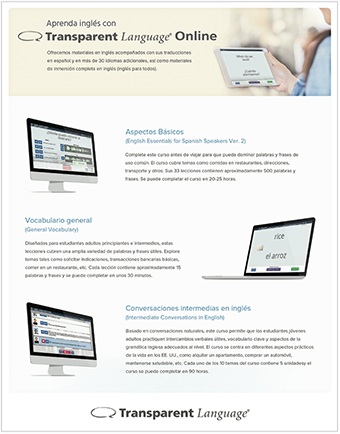 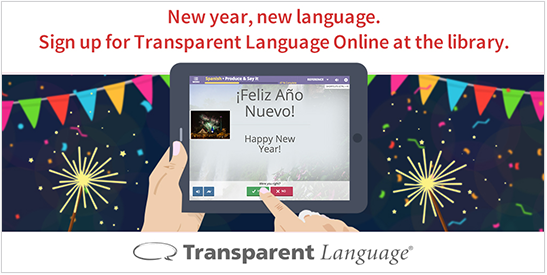 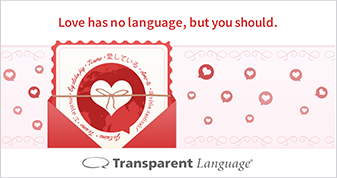 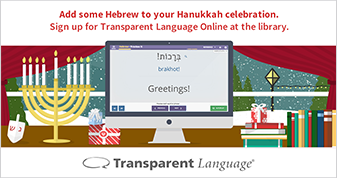 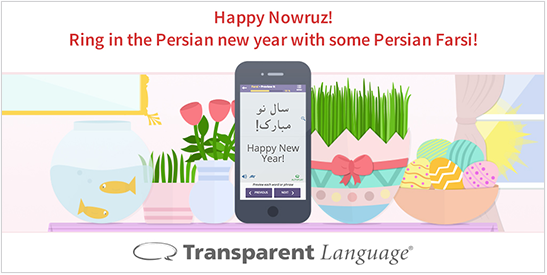 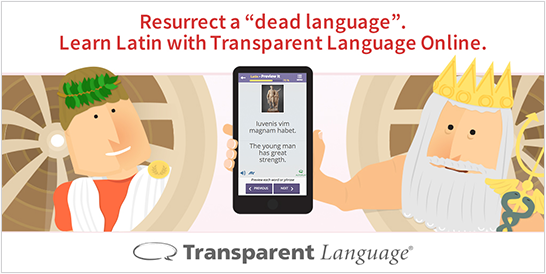 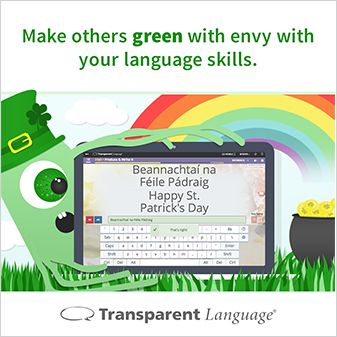 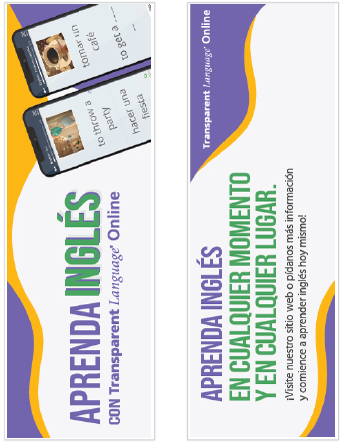 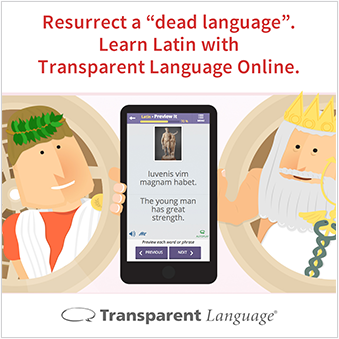 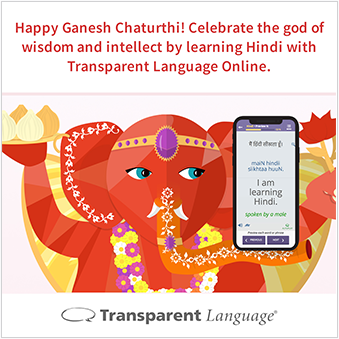 Thank you for being a loyal Transparent Language customer! 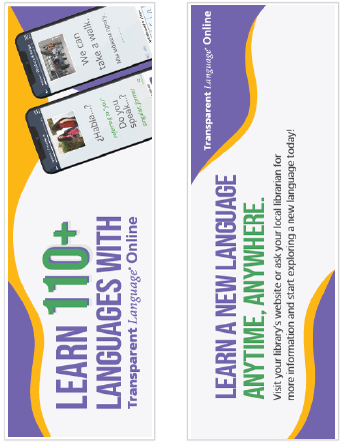 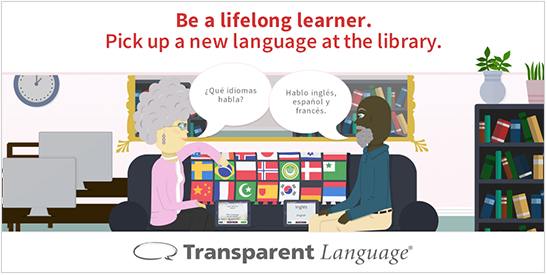 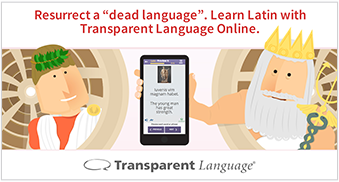 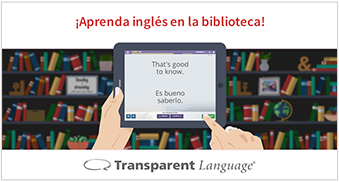 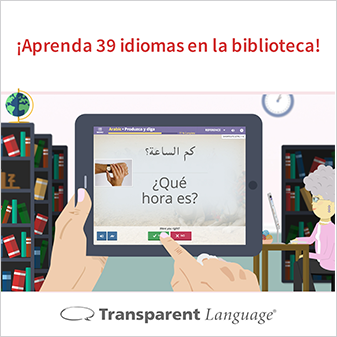 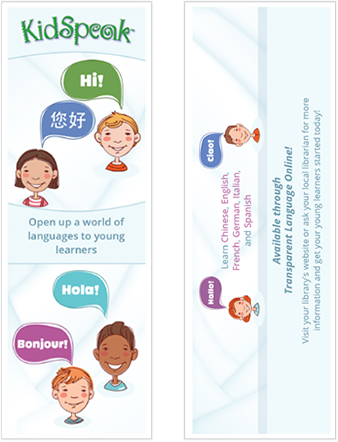 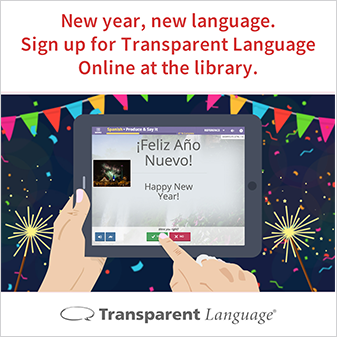 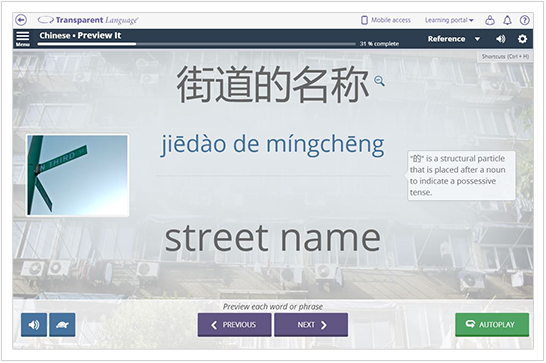 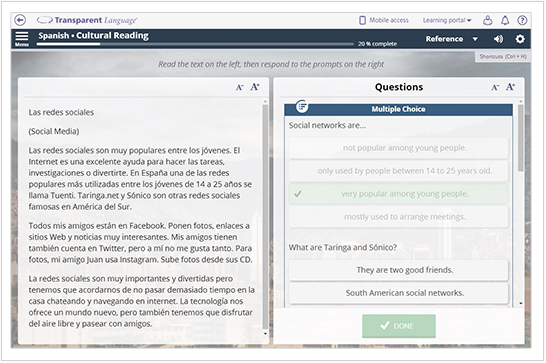 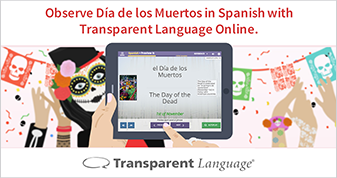 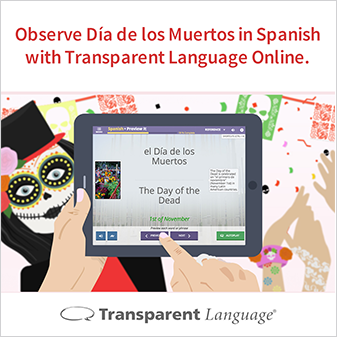 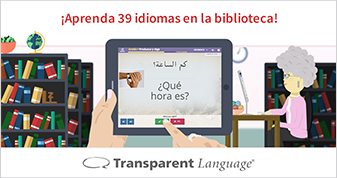 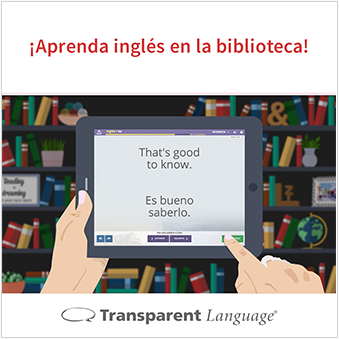 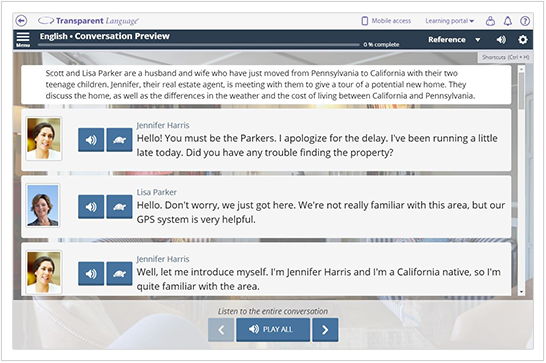 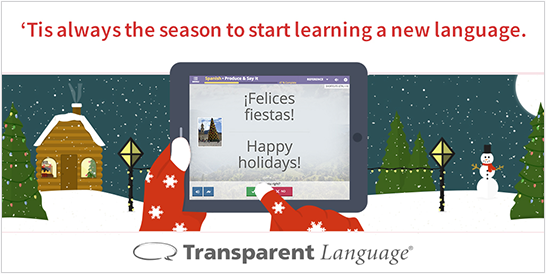 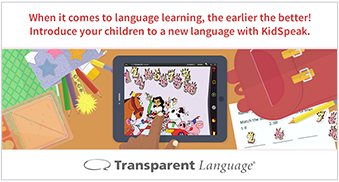 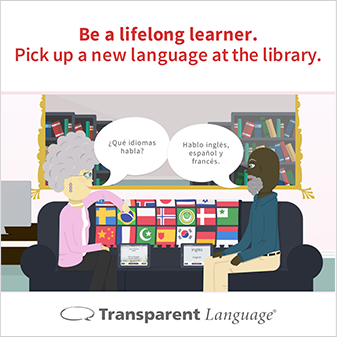 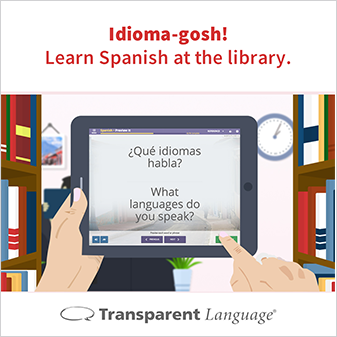 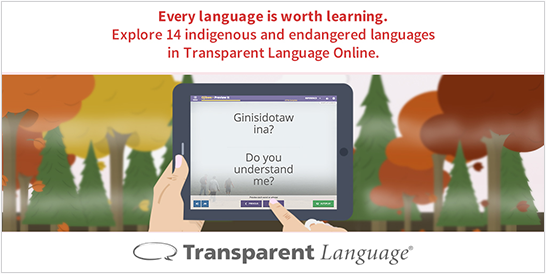 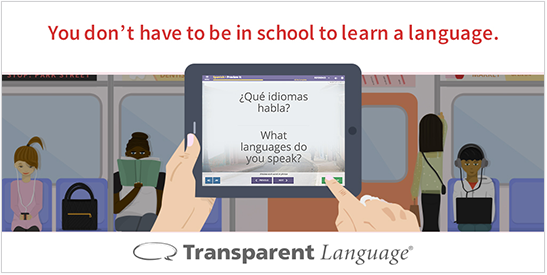 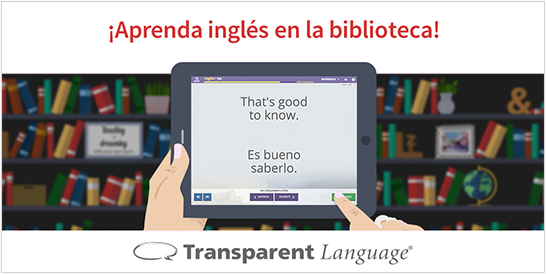 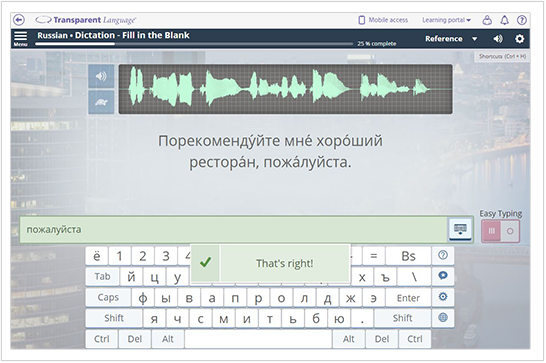 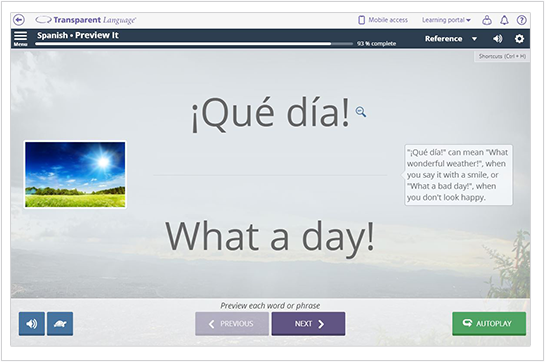 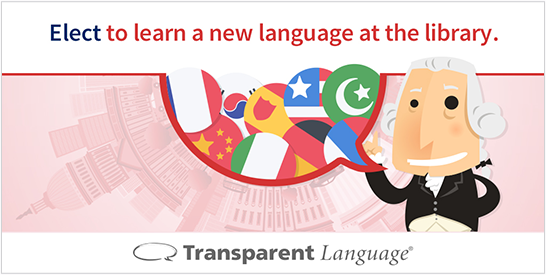 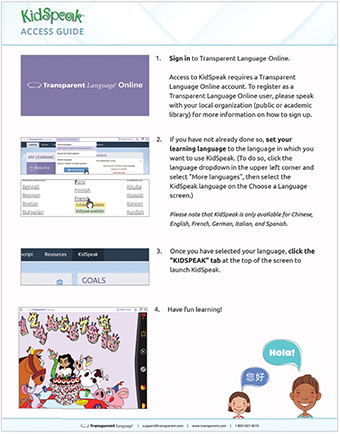 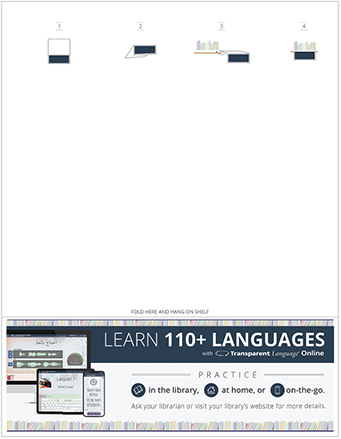 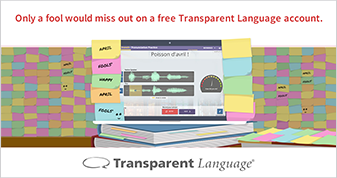 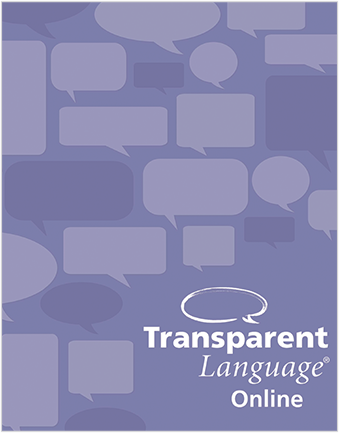 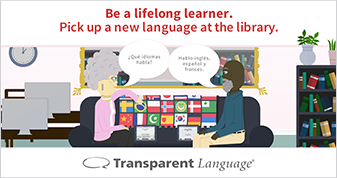 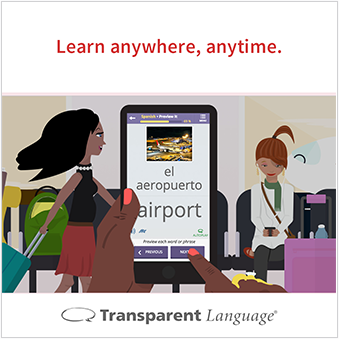 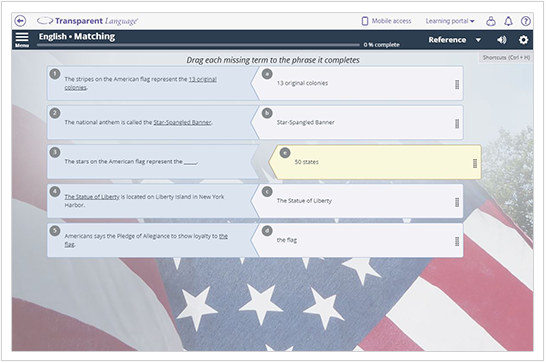 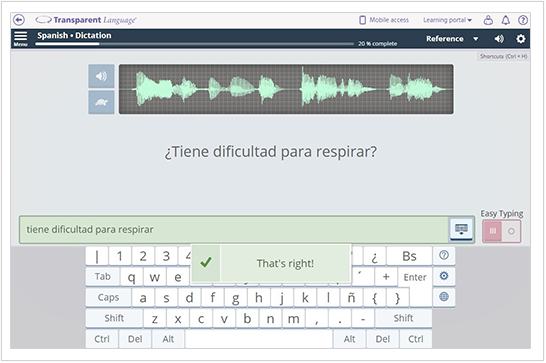 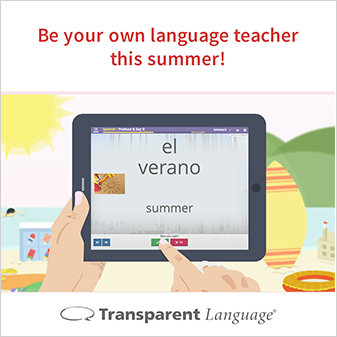 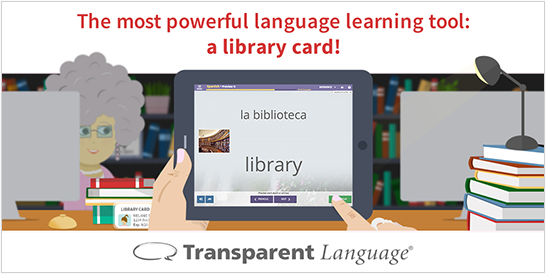 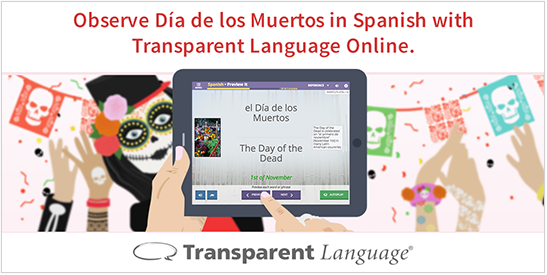 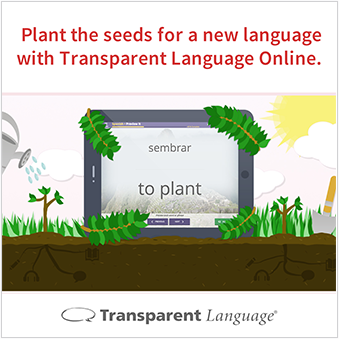 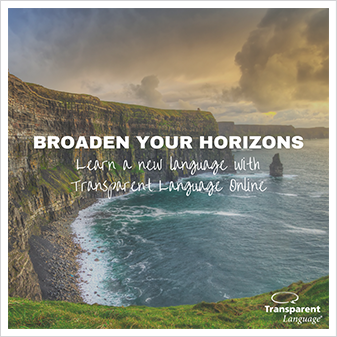 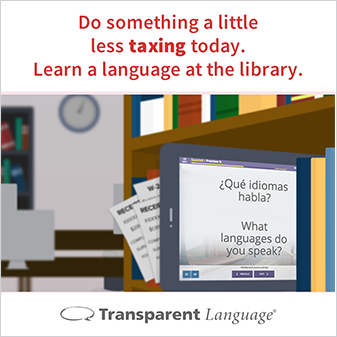 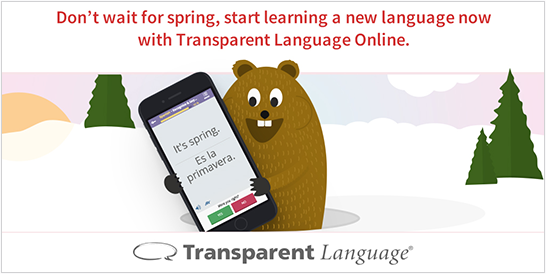 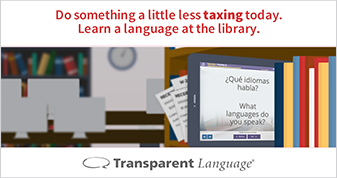 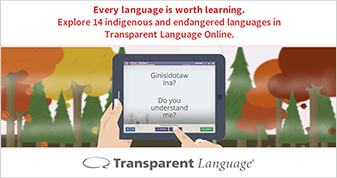 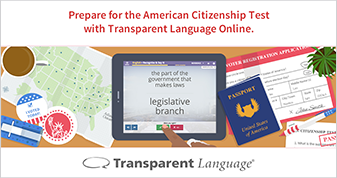 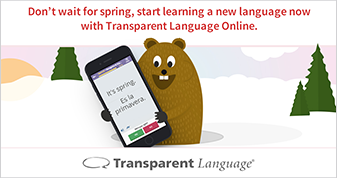 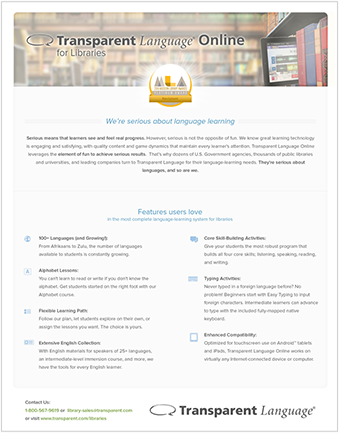 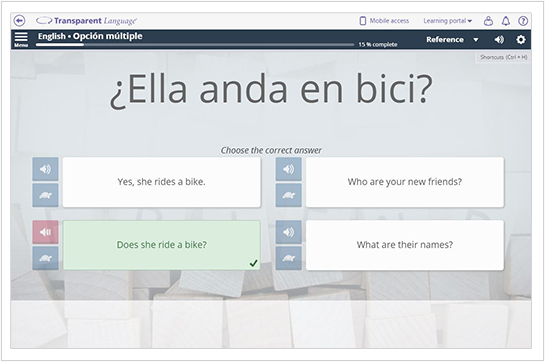 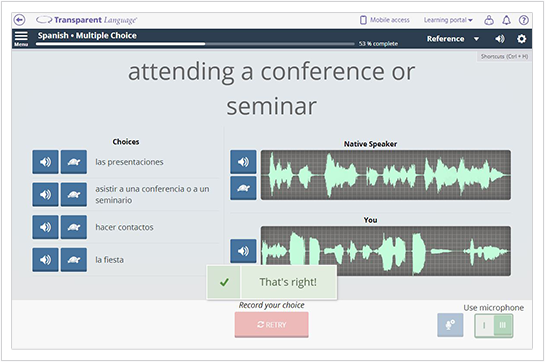 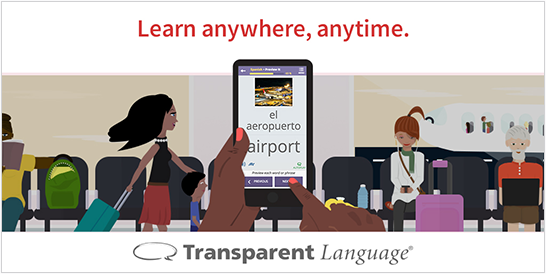 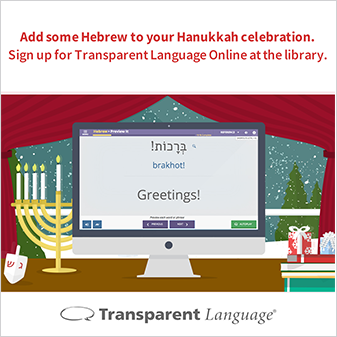 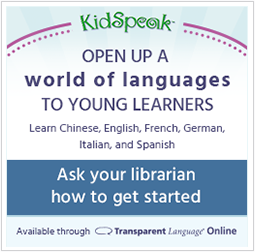 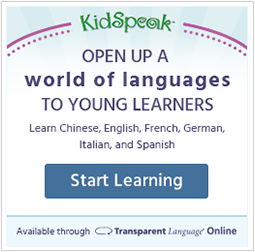 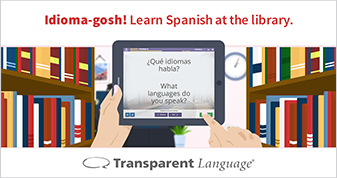 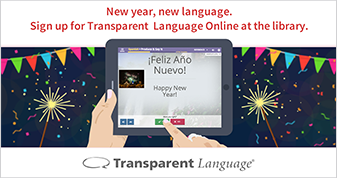 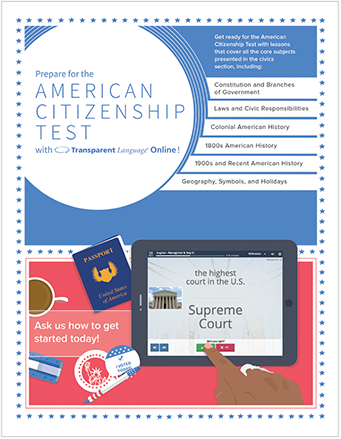 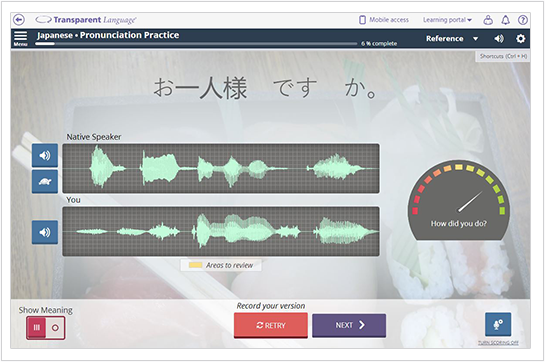 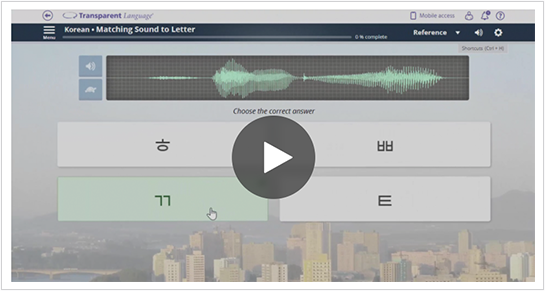 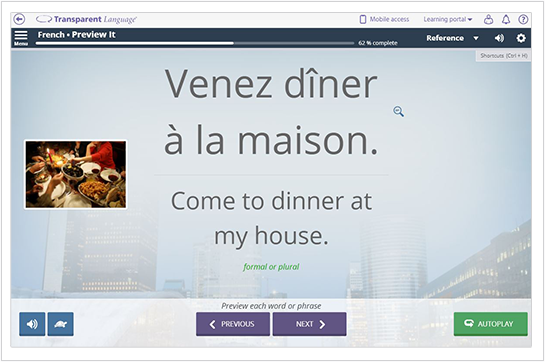 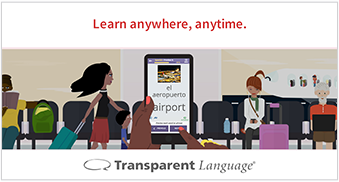 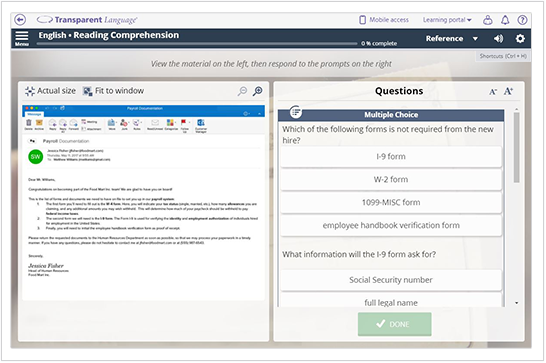 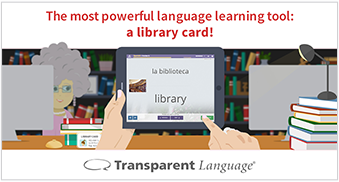 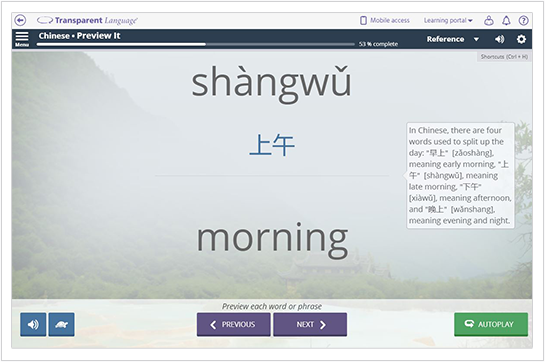 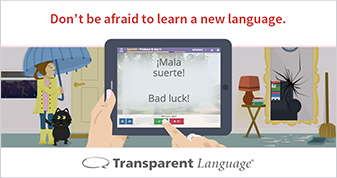 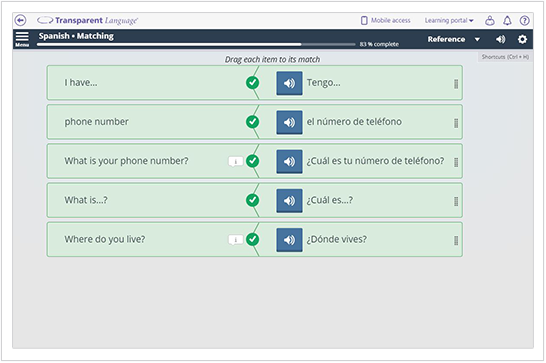 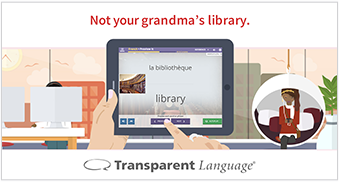 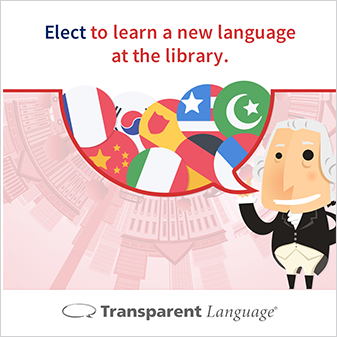 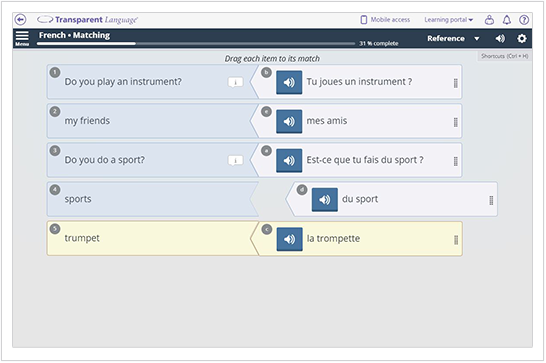 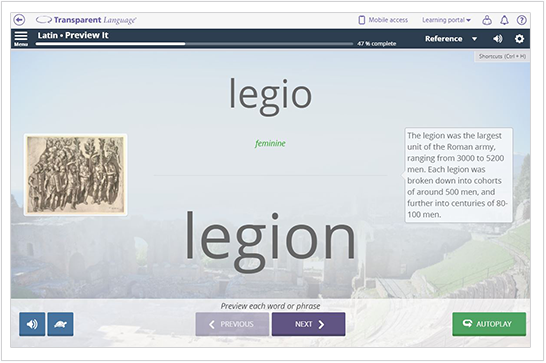 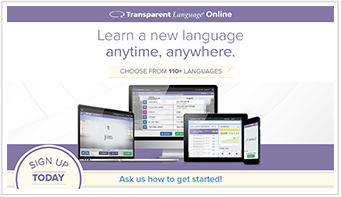 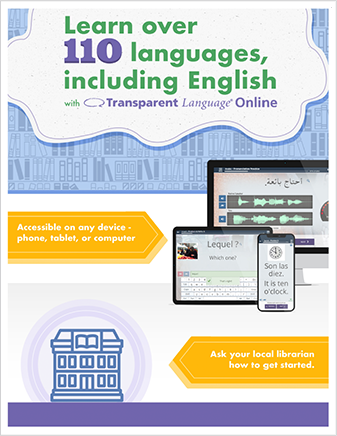 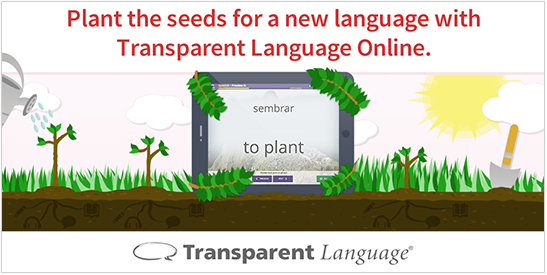 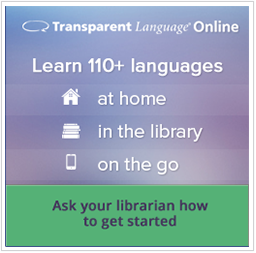 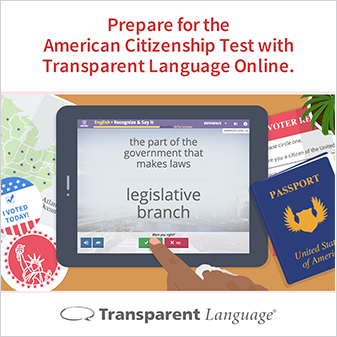 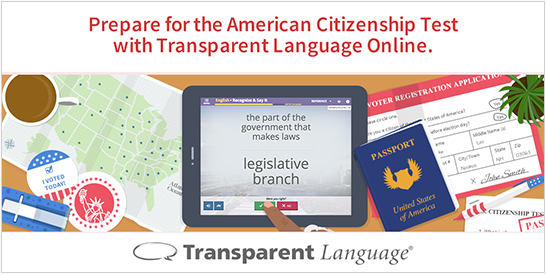 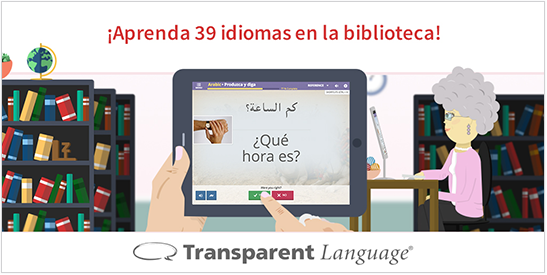 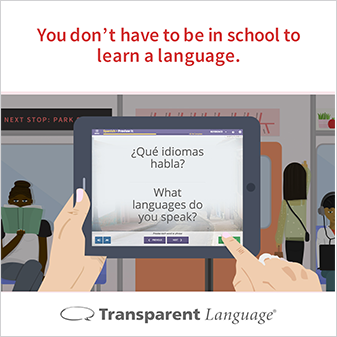 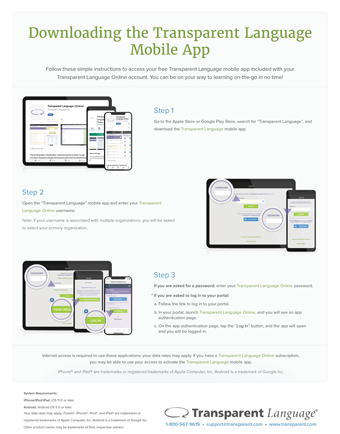 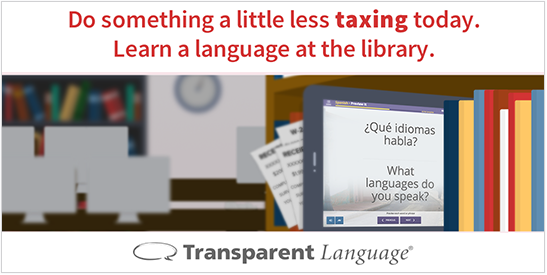 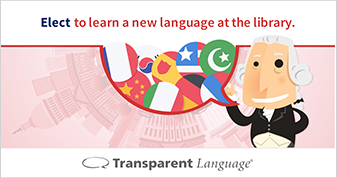 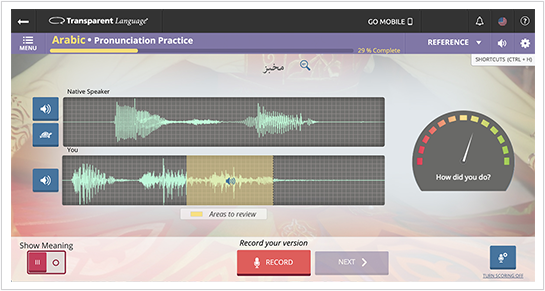 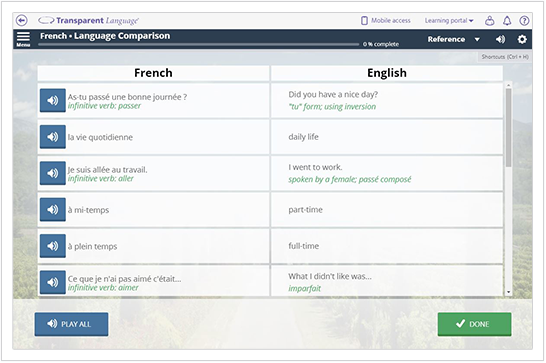 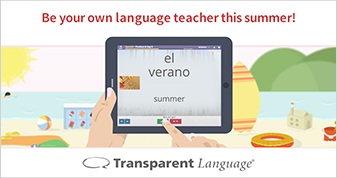 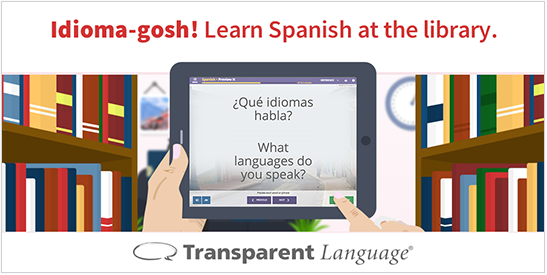 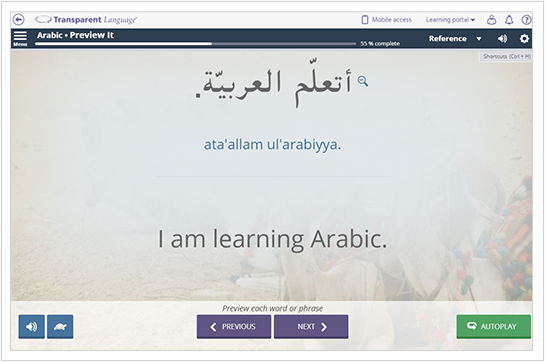 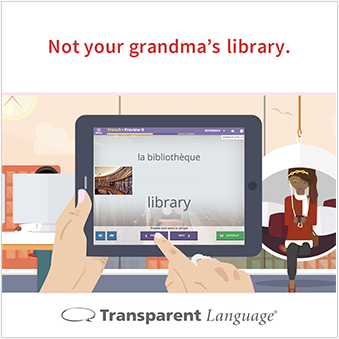 Below you will find a variety of promotional resources available for download to spread the word about your library's subscription to Transparent Language Online and/or KidSpeak. 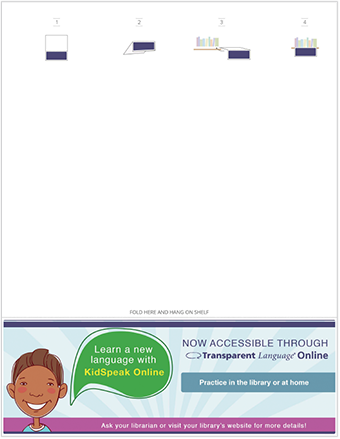 You may download as many items as you'd like. 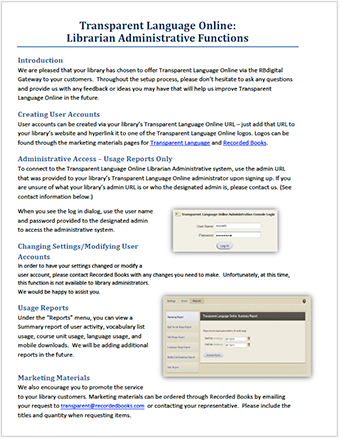 If you have any questions about these items or suggestions for additional pieces, please don't hesitate to email Lauren at lgancarz[at]transparent.com.